Today's the last day of the January Whimsy Stamps release, I hope you've enjoyed all the inspiration we've shown you! I cut a panel of rustic white cardstock a separate Happy frame. I then used the Happy frame die to cut out the niche where the frame would sit. I stamped the panel with In Stitches around the outside and the opening. 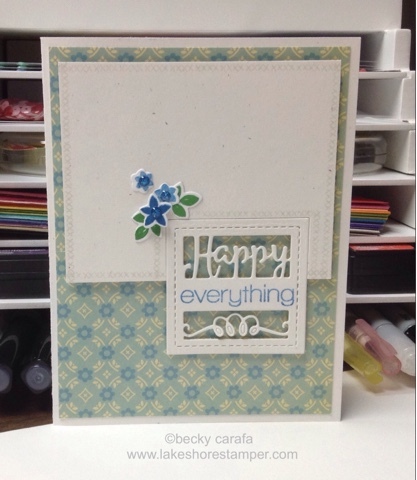 I stamped "everything" in blue ink on the Happy frame and attached it to the panel from the back. I stamped and cut some flowers from Autumn Blessings (stamps and dies) in colors that matched my patterned paper and adhered them to my main panel. I used Winter Wishes enamel dots from Whimsy on my flower centers. The entire main panel is popped up on a card base with patterned paper on it. Thanks for stopping by! 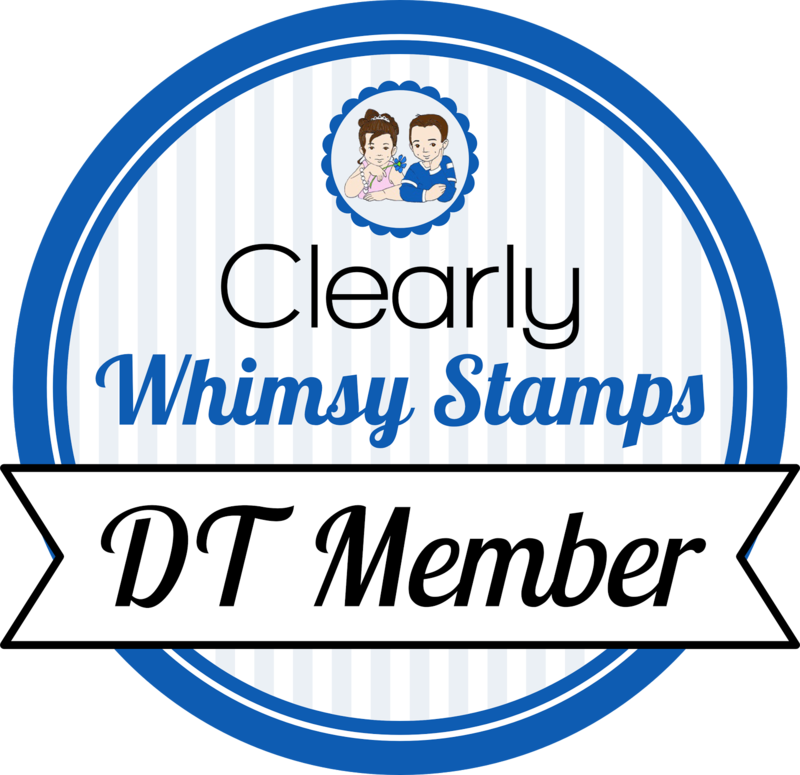 Head over to the Whimsy Blog and Facebook Group for all the activities!